Whistleblower site Sarawak Report has made new revelations about transactions that have supposedly gone through Prime Minister Najib Abdul Razak’s personal bank accounts during the run-up to the 13th general election. Among others, it claimed that Najib paid RM7 million to “Ketua Pengarah Perisikan Pertahanan” (director-general of the Defence Staff Intelligence Division, BSPP) on April 8, 2013, about a month before the May 5 general election. “Perhaps Lt-General Datuk Abdul Hadi Bin Haji Hussin, who occupies the role, could explain why this service was receiving a personal cheque from the Prime Minister (paid out of 1MDB’s stolen money) just a month before the last election?” Sarawak Report posted in an email newsletter. The BSPP is the joint military intelligence agency of the Malaysian Armed Forces. It reports directly to the chief of the Armed Forces. Malaysiakini has contacted the Defence Ministry and the Malaysian Armed Forces on Sarawak Report’s allegations and is awaiting a response. Sarawak Report claims that the figures on the transactions came from the joint task force that had investigated 1MDB since March 2015 until it was abruptly disbanded, five months later. Malaysiakini is unable to independently verify the claim, whereas 1MDB has stated previously that no money had been misappropriated from the fund. Najib has consistently denied wrongdoing and said the billions of ringgit found in his bank account was a “donation” from the Saudi royal family, and he had been cleared of any wrongdoing by attorney-general Mohamed Apandi Ali. Two years ago, leaked documents that purportedly originated from the Milan-based software company Hacking Team showed BSPP as among its clients for its controversial government spying and surveillance tools. The agency is referred to as “Malaysia Intelligence” or MI, in most of the purportedly leaked correspondences, but at least one email referred to the BSPP and its director-general Abdul Hadi by name. This email, dated Nov 6, 2012, explained that the haste to complete the transaction was because the BSPP needed to complete its 2012 budget by Dec 15 that year. BSPP supposedly paid Hacking Team a total of €552,000 (RM2.32 million) between 2012 and 2015. However, the purportedly leaked documents showed that none of the transactions took place in 2013, which was when Najib allegedly paid the BSPP director-general. BSPP has not issued any public statement on the Hacking Team leak since it took place on July 5, 2015. The Prime Minister’s Office, which was also implicated in the same leak, has denied purchasing spying tools from Hacking Team. Meanwhile, Sarawak Report alleged that other beneficiaries from Najib’s largesse included the personal bank accounts of the directors of the think-tank Centre for Strategic Engagement (Cense). 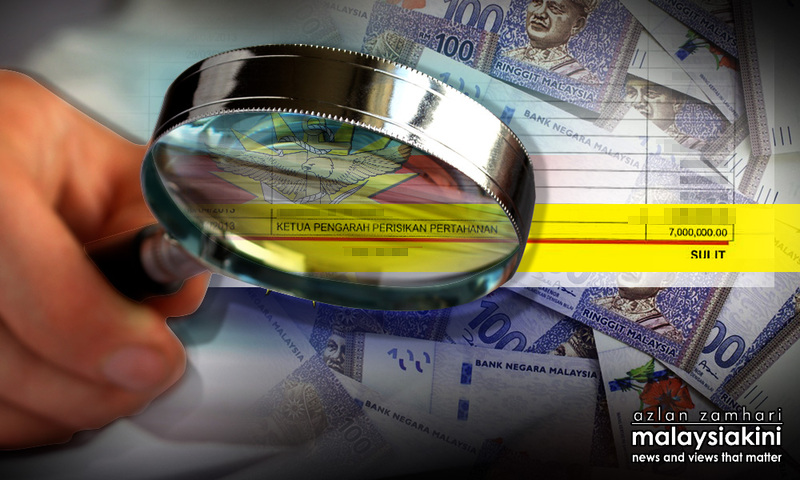 It said Cense director and CEO Soong Fui Kiun had received a total of RM4.5 million from Najib’s account in four tranches between October 2012 and April 2013. 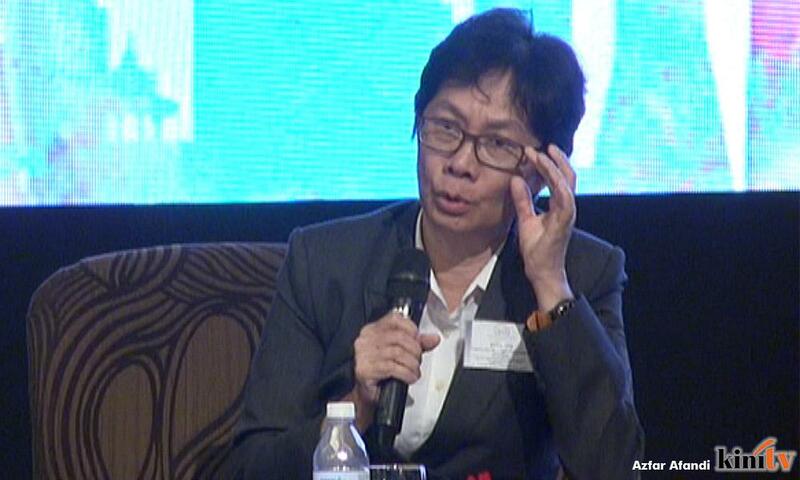 In addition, another Cense director, Rita Sim (photo), allegedly received RM1.2 million on April 4, 2012. Previously, Pandan MP Mohd Rafizi Ramli had disclosed documents purporting that Cense had received RM300,000 from Najib’s account. Soong, at that time, told Malaysiakini that Cense had been conducting “constituency studies and media monitoring for various BN parties”. “I don't know if (the transaction) is real or not. What I can confirm is that we do constituency studies and media monitoring for various BN parties and we do charge clients for our services. “I don't question my sources. These dealings are all properly invoiced and recorded,” she said. This time, Sarawak Report disclosed that Cense purportedly received much more money from Najib than previously disclosed. It claimed that between October 2012 and February 2015, Cense had collectively received 10 payments from the same account, totalling RM6.75 million, including half-a-million-ringgit for its subsidiary Cense Media. Malaysiakini has contacted Sim for comment and is attempting to reach others at Cense as well. The companies and individuals are not deemed to have committed any offence, even if Sarawak Report’s allegation that the money originated from 1MDB is true or if the funds were payment for legitimate transactions. Other alleged beneficiaries include the Solar Shine Sdn Bhd, which the Sarawak Report suggests is in the business of supplying “election goodies”, such as handout packs, satchels and so on. It said Solar Shine had received 35 payments totalling RM117 million in the three years between February 2012 and February 2015. A report by the Australian Broadcasting Corporation (ABC) last year cited a smaller figure of RM24 million being the sum paid from Najib's account to Solar Shine. It claimed that the figure came from bank records, but did not specify the source of the information. Malaysiakini visited Solar Shine’s purported offices last year to seek comment on the allegations, but only found a different company - IT Data Centre Sdn Bhd - at the address listed in the Solar Shine’s company registration documents. Further checks by Malaysiakini showed that three different companies - Solar Shine, IT Data Centre, and Steelwell Development Sdn Bhd - shared the same address with one Muhammad Zaki Illias as director and Chin Yuet Sin as secretary in all three companies. Meanwhile, Sarawak Report claimed that companies offering public relations services were also among the alleged beneficiaries of Najib’s account. It said Orb Solutions Sdn Bhd had received RM68 million. This is higher than the RM2 million figure cited in the documents disclosed by Rafizi. Najib’s aide Amhari Efendi Nazaruddin, who owns a 50 percent stake in Orb Solutions, has yet to respond to Malaysiakini’s queries made in May this year on Rafizi’s disclosure. Brandworth Corp, which supposedly ran BN’s media strategy during the 13th general election, allegedly received RM6.5 million from Najib’s account on May 3, 2013, and RM5.69 million on April 8, 2013. The company was raided by the Malaysian Anti-Corruption Commission (MACC) on Oct 29, 2015. However, the commission had declined to elaborate on the raid. The commission had been investigating the transactions from former 1MDB subsidiary SRC International at the time, but it is unclear if this investigation was connected to the raid. Sarawak Report also claimed that Najib had spent RM44 million at the fabric retailer Jakel Trading, and gave RM17 million to his mother’s Yayasan Rahah Foundation. Previously, ABC had reported that Najib supposedly paid Jakel RM360,000, and RM7.5 million for Rahah foundation. Another report by The Wall Street Journal last year claimed that Najib had transferred US$14 million (RM55 million) to Jakel between 2011 and 2014. The pro-Najib portal MyKMU had previously reported that the millions paid to Jakel were charitable contributions such as clothing and other items for NGOs, victims of natural disasters, orphanages and to Umno political wings as well. “According to a source, the prime minister would ask Jakel to supply clothing, blankets and other items to victims of natural disasters and pay the company. “Apart from this, clothes are purchased for orphans in conjunction with Hari Raya which is sponsored by the prime minister,” MyKMU reported. Sarawak Report also named other companies and individuals who had allegedly received payments from Najib’s account during the run-up to the 2013 general election. Malaysiakini is withholding their identities pending their comment.